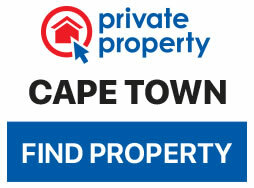 With all the beauty the Mother City holds, it’s hard to imagine wanting to escape her welcoming arms. But as the icy winds begins to blow and the much-needed rain finally starts falling, we find ourselves wanting a contrasting break-away. A place where the warm crackling glow of a lively fireplace fills the air and an unnecessary supply of furry blankets is necessary. Cuddled up in the Garden Route’s Klein Karoo lies the Dutch Zeekoegat Farm, where wanderers can find rest in the charming self-catering units ranging from rustic waterfront chalets to luxurious cozy cottages. Activities range from adventurous morning Meerkat walks, to simply enjoying the gorgeous view from your hanging balcony chair. Or slowly sip a few glasses of wine in front of the fireplace. De Zeekoe also has a very highly rated restaurant serving up Karoo-style cuisine that is sure to warm your belly. 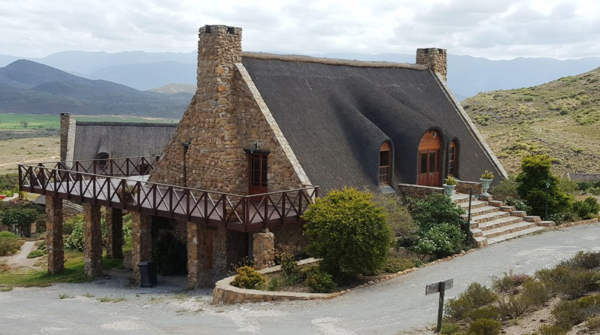 Tucked away in the Koningsrivier hills between Robertson and McGregor, this lovely lodge is an exquisite escape, rich in heritage with vibrant views overlooking the expanse of an unforgettable valley. Ideal for those seeking a break from the busy buzz of everyday life, give yourself a chance to reconnect with nature. Stay in snug private stone cottages, each with their own spectacular view and porch. Embrace nature and hike along the mountainous terrains or cuddle up and binge that series you never get a chance to watch. 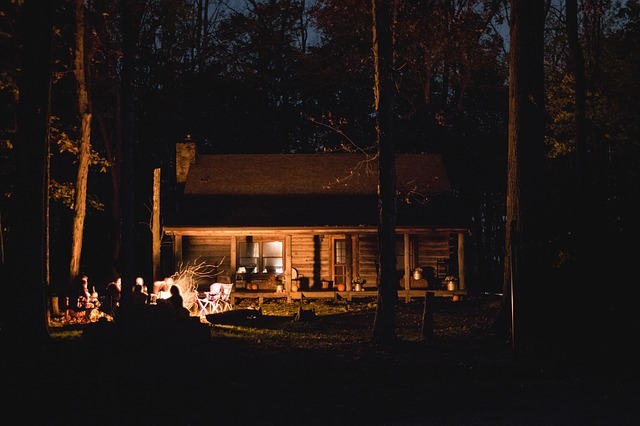 The unique and warm cabins of KolKol Mountain Lodge began as the gutsy idea of owner Rudi, who wanted to build his own log cabins after being inspired by a stroll through a pine tree plantation. Made for the alien trees that once grew on the land were the cabins now stand, KolKol strives to be as natural as possible. 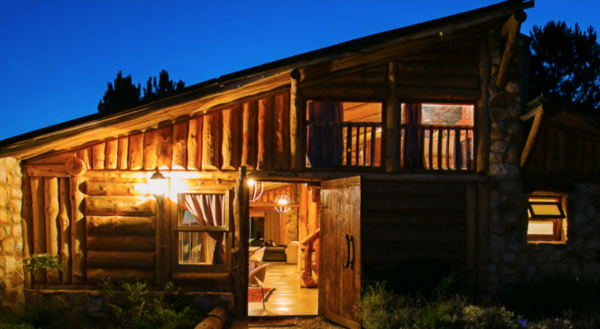 Their cabins are made out of natural materials, right down to the furniture and wood-fired hot tubs. Activities range from quad biking to relaxing spa treatments delivered right to your cabin. Count me in! Just an hour out of Cape Town, this spot is ideal to enjoy the serene landscape of the Overberg. What winter escape is complete without eating way more than you should! Indulge in decadent pastries, coffee, cakes, soups and other hot dishes at this Franschhoek escape perfect for those seeking the comfort of hot winter offerings. 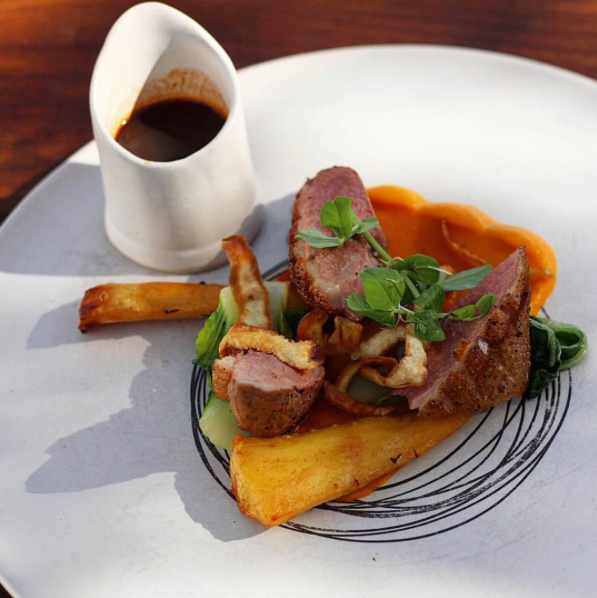 Le Petite Ferme is not only a destination for exceptional accommodation, it is also a source of indulgent cuisine, from their baked goods to their new winter menu. Indulge, indulge, indulge. Named after the 140-year-old Blue Gum Tree that grows on the front lawn of this family-run guest house, this estate offers the warmth of a home away from home. Visitors get the chance to enjoy the fresh farm air and animals (including over 100 species of birds) that make up the unique eco-system. 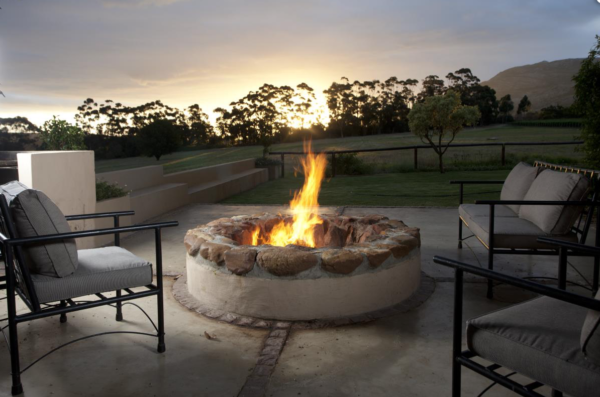 While your hours away enjoying the most beautiful of sunsets from the Boma patio bar or stay toasty and spark up a braai in the large stone braai areas.